Hampton VA, May 1, 2018 (Newswire.com) – Anthony Alfredo and MDM Motorsports nearly accomplished their goal of winning Saturday night’s Visit Hampton VA 150 K&N Pro Series East race at Larry King Law’s Langley Speedway in Hampton, Virginia before finishing a close second. Alfredo was behind the wheel of the Ceco Building Systems, Oxford energy, Mechanic Shop No. 40 Toyota. He qualified third fastest and ran in the top five all night. The 19-year-old was leading with less than ten laps to go, but the slower traffic he was trying to navigate didn’t work out in his favor. 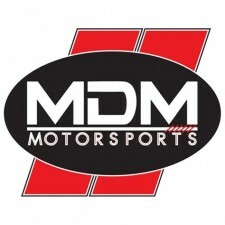 The next race for Alfredo and the MDM Motorsports team will be Saturday, July 12 when South Boston Speedway in South Boston, Virginia hosts the Who’s Your Driver Twin 100’s. Many of NASCAR’s biggest stars, past and present, cut their racing teeth at South Boston. Richard Petty won four Monster Energy NASCAR Cup Series events here in the 1960’s. Benny Parson’s first Cup win was at South Boston. Current NASCAR stars including Denny Hamlin, Elliott Sadler, and Timothy Peters began their careers at South Boston.